VIPAccessEXCLUSIVE: Chaz Dean Interview With Alexisjoyvipaccess At The 3rd Annual Vanderpump Dog Foundation Gala! Chaz Dean is synonymous with being a hair genius! Through the breathtakingly beautiful hairstyles he gives his A-list celebrity clients to his magnificent products, it’s clear to see that Chaz Dean has created one phenomenal empire that can’t be beat. The hair guru has his incredibly successful and renowned, hair product line called WEN by Chaz Dean. His remarkable products give the greatest results and you will instantaneously see how much more shiny, voluminous and luxuriant your hair will be. Chaz Dean strives to make each experience an unforgettable one for all of his clients. Whether he’s helping an amazing celeb get ready for a big day on the red carpet or having people try out his excellent shampoos and conditioners, everyone is always left in awe with Chaz Dean and his spectacular work. Chaz Dean is known for being one of the most hard-working individuals in the industry and he has and continues to make a big impact in the lives of many through his passion for styling hair and keeping it healthy. Despite being an icon in the entertainment and beauty worlds, Chaz Dean continues to be such a kind-hearted and genuine person. Anyone who meets him will immediately notice his warm personality and down-to-earth persona. With the holiday season soon approaching, we all know that Chaz Dean’s amazing products will be at the top of everyone’s wish-list. 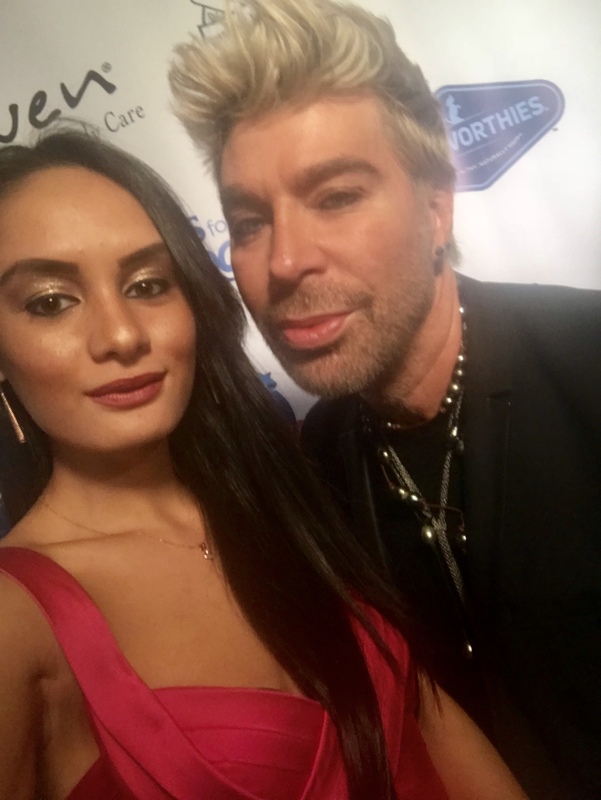 I, Alexisjoyvipaccess had a marvelous time covering the 3rd Annual Vanderpump Dog Foundation Gala and had a fantastic time interviewing the sensational Chaz Dean at the event. Chaz Dean dished exclusively to Alexisjoyvipaccess all about what it was like for him to have shown his support at the awe-inspiring event, what he thinks his dogs would say to him if they could talk for a day and so much more only in our VIPAccessEXCLUSIVE interview. Chaz Dean even sent out a terrific message to all of his fans – hear what he had to say in our VIPAccessEXCLUSIVE interview below. Thanks for the wonderful interview, Chaz Dean! Check out my VIPAccessEXCLUSIVE interview with the exceptional Chaz Dean at the 3rd Annual Vanderpump Dog Foundation Gala below! Previous VIPAccessEXCLUSIVE: Lisa Vanderpump, Mario Lopez, Chaz Dean And Many More Amazing Celebrities Showed Their Support At The 3rd Annual Vanderpump Dog Foundation Gala – Recap Here! Next VIPAccessEXCLUSIVE: Tom Schwartz Interview With Alexisjoyvipaccess At The 3rd Annual Vanderpump Dog Foundation Gala!